The Great Turtle Drop – a festive celebration of the arrival of the New Year on Mackinac Island – will take place once again this year on Main Street near the Christmas Tree at the stroke of midnight on New Year’s Eve. 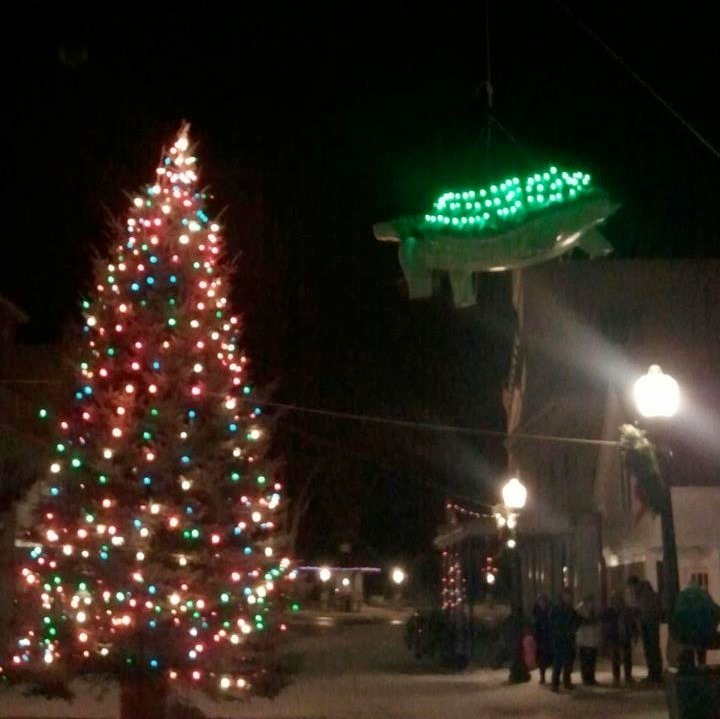 The Great Turtle – a 70 pound green, light-bespangled fiberglass turtle – will be lowered to the ground in front of a celebratory New Year’s Eve crowd near the Mackinac Island Christmas Tree as the last seconds of 2013 tick down to midnight. 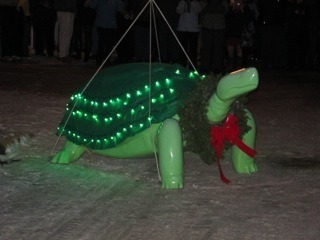 This will be the third year the the Great Turtle has dropped to Mackinac Island to welcome in the New Year. The Great Turtle Drop was first held on December 31, 2011 under the guidance of Rich and Marge Lind of the Cottage Inn who wanted to create a festive “Times Square” event with a unique Mackinac Island twist. While residents of Mackinac Island and holiday visitors will be able to witness the Great Turtle Drop in person, followers on the internet should be able to get a glimpse of the celebrations via webcam.